Prestige Business Solutions is not your typical tax and accounting firm. We are a proactive, hands-on firm that harnesses the latest knowledge on the subject to provide our clients with timely, accurate, and affordable taxation services. We specialize in bookkeeping and accounting services for Small to Medium size businesses. No one likes surprise billing, which is why we offer fixed pricing when it comes to our accounting packages for small businesses which include bookkeeping, BAS/IAS, tax advice & planning, tax returns, and financial statements. - Tax Planning - Splitting, shifting and deferring for your benefit. Great customer service, quick work and outstanding efficiency. Would highly recommend. Excellent. Very detailed and informative but also fast and efficient. Highly recommended! Thanks Raj! 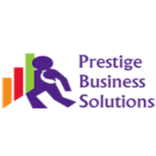 We found Prestige Business solutions to be completely professional, helpful, very thorough and knowledgeable. Ben and the team offered a friendly and reliable service with excellent communication. We would highly recommend them to anyone. We focus on helping clients grow rather than just managing tax and reporting affairs. This means we strive to provide quick and reliable service that is personalised for YOUR specific needs. We are a Chartered Accounting Firm with more than 15 years of experience. Our team of 6 accountants have various specialisations, including SMSF Audit.